Scrapbook acquired from John Rider Wallis in 1972. Scrapbook is in its original order, primarily organized chronologically. John Rider Wallis was born on January 4, 1887 in Iowa. 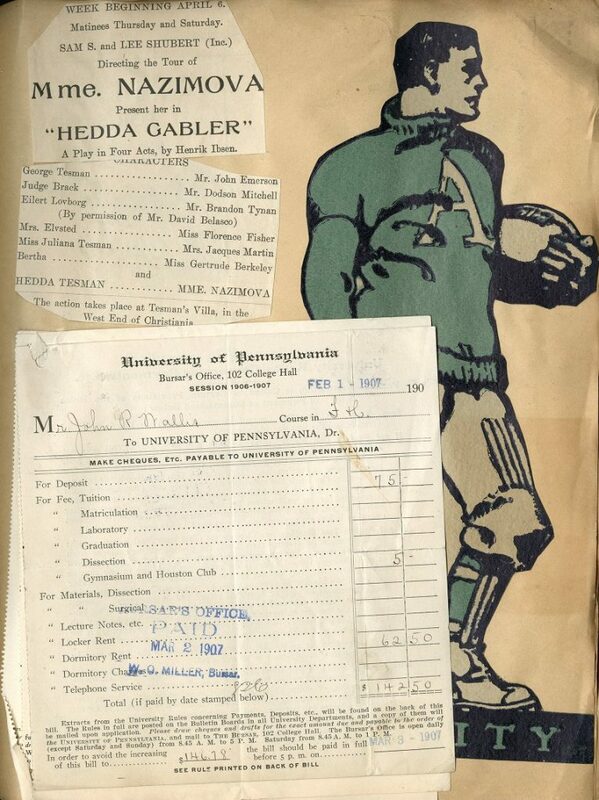 He was a member of the 1910 class at the Wharton School. Wallis served as a first lieutenant in the U. S. Army during World War I. He spent most of his life in Iowa, and passed away on August 6, 1985. 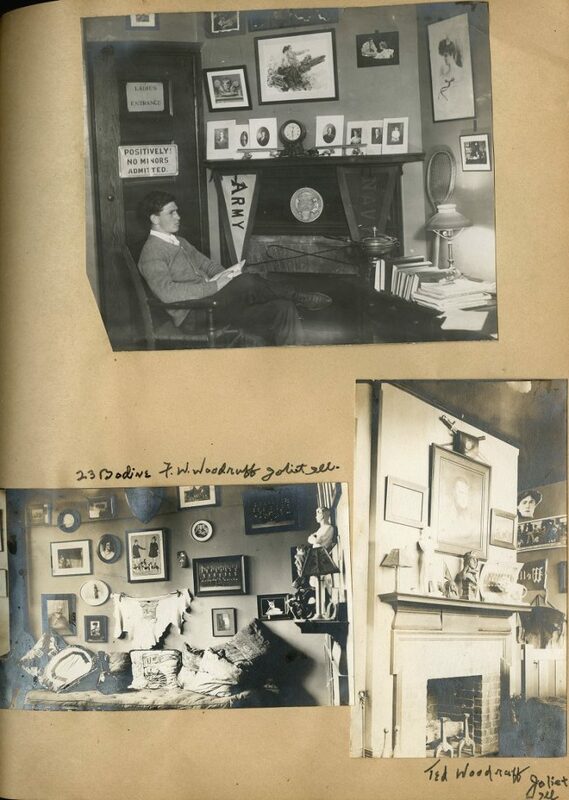 The John R. Wallis Scrapbook was created during his time at the University of Pennsylvania, and contains newspaper clippings, publications, photographs, travel tickets, and sports items.